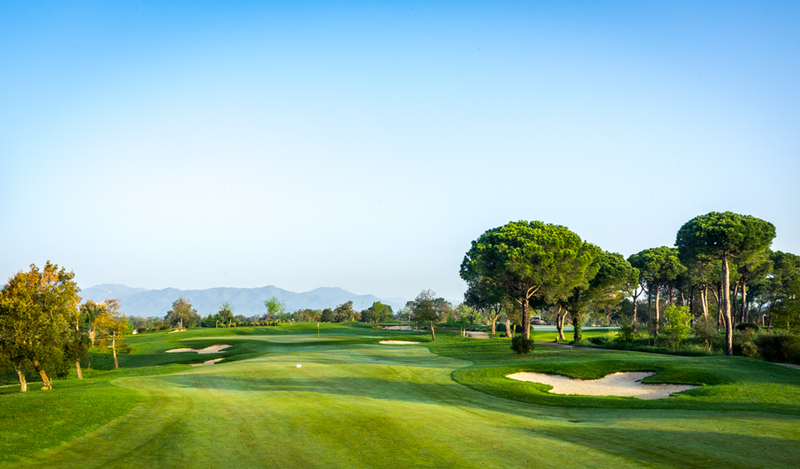 On the second day of my short trip to the PGA Catalunya Resort I had the opportunity to play the little but not to be underestimated brother of the PGA Stadium Course, the Tour Course. 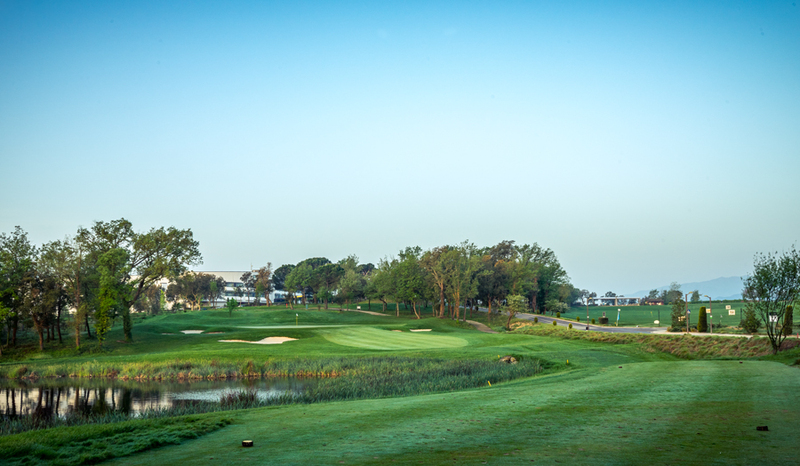 The Tour Course differs from the Stadium Course most of all in its playability. 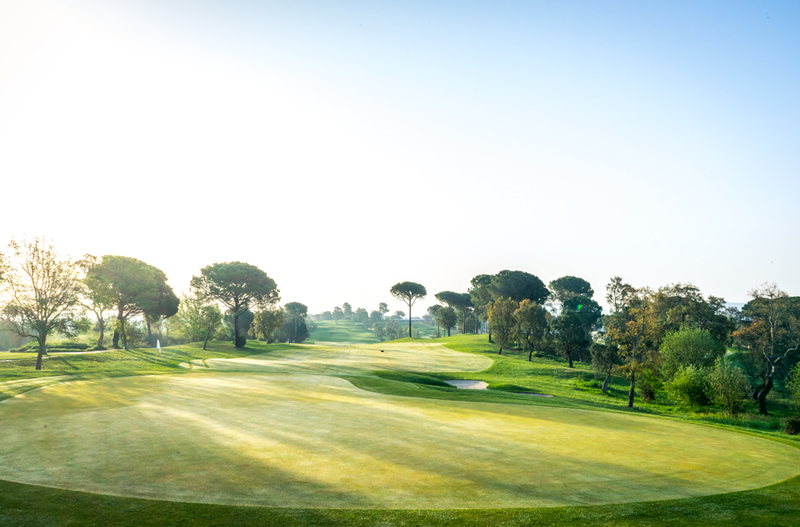 The Tour Course excuses more distorted drives and imprecise approaches, the greens are generally not as undulating and difficult to read as it’s on the Stadium Course. However, as already mentioned, the entire layout shouldn’t be underestimated. 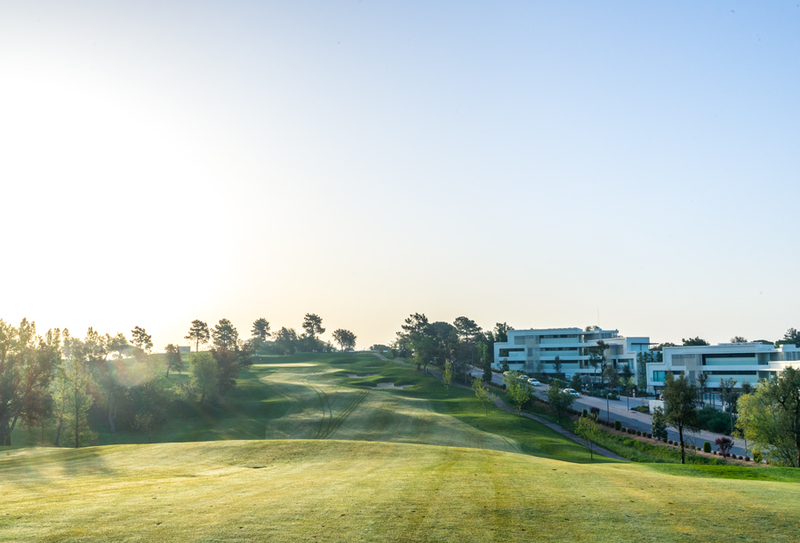 The Tour Course is, as well as the Stadium Course, nicely embedded in the resort and so you only have about two minutes from the breakfast buffet of the Carminal Hotel to the first tee. 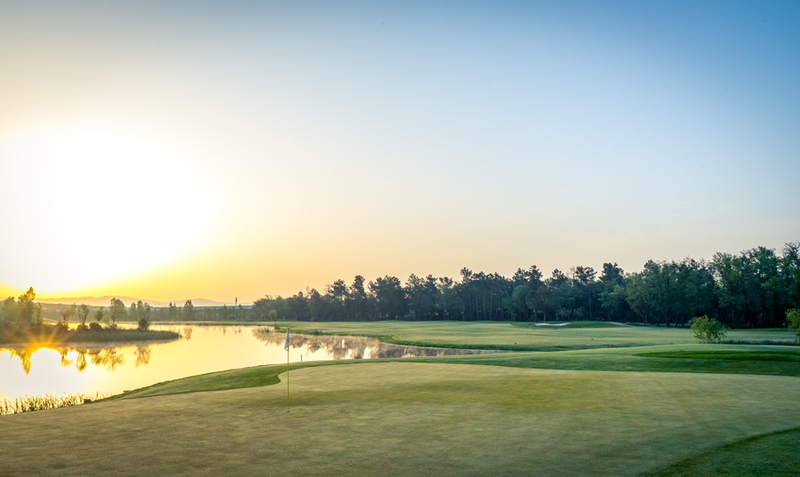 The first hole shows you directly what you’re dealing with the next 18 holes. 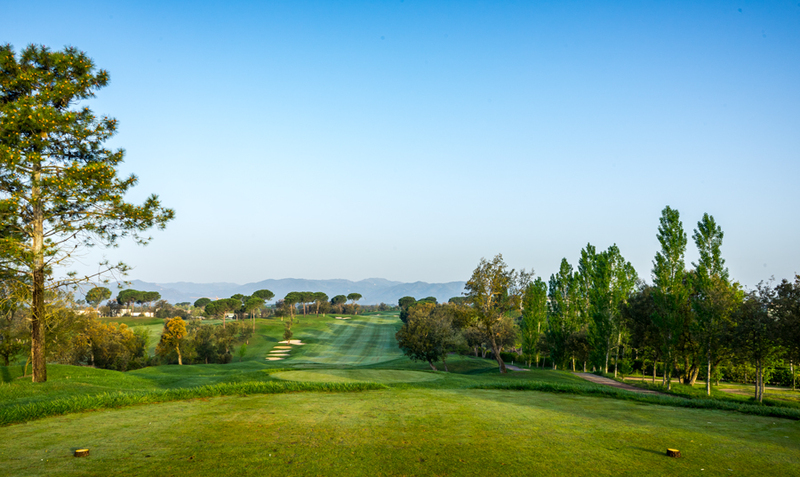 High above the fairway, teeboxes with great views invite you to dream rather than focus on the upcoming drive. Hey, but you really should enjoy it. 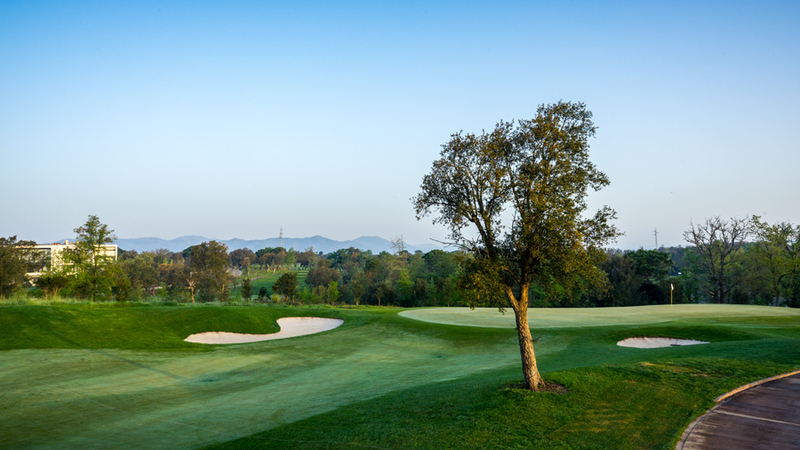 More than often you will have to deal with slopes where you’re above or below your ball. 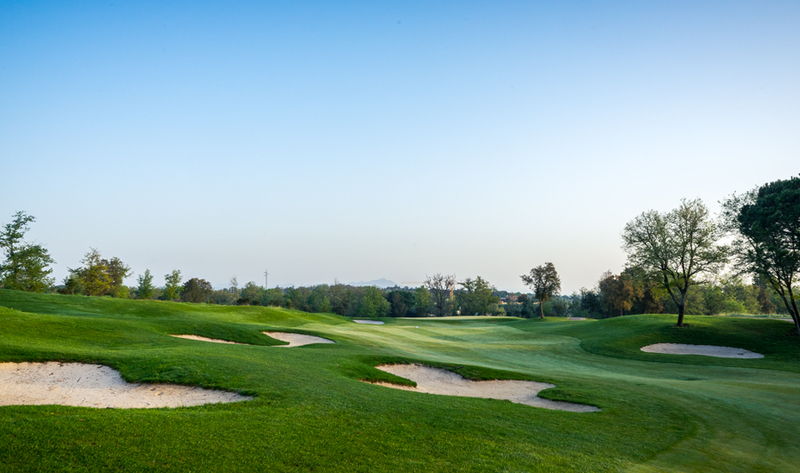 In addition, I don’t think the bunkers are as big but strategically good positioned, depending on your accuracy. 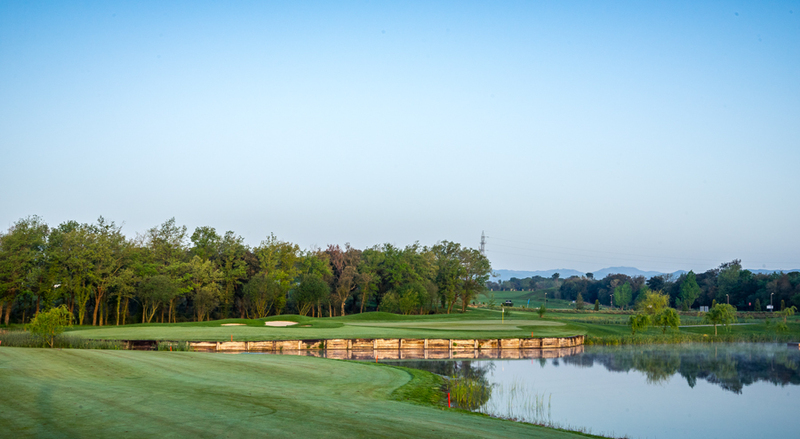 On the second nine you have to conquer a relatively large number of water hazards. 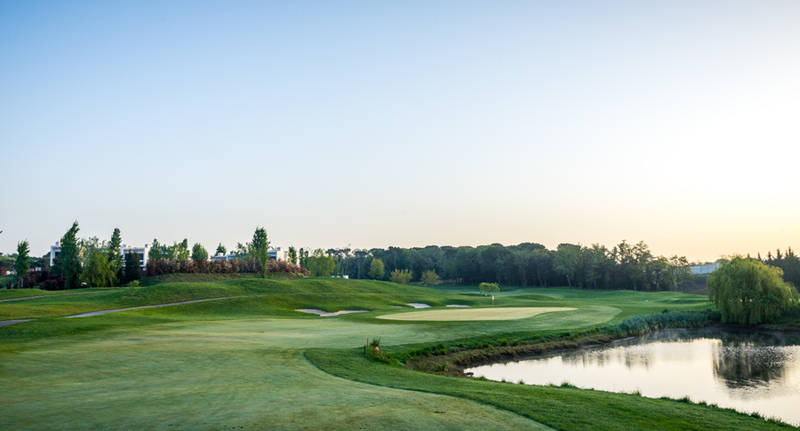 Even though, the Tour Course winds its way through the PGA Catalunya Resort on the second nine, it’s an absolutely challenging golf course. What I personally liked very much was the great differences between the holes. I had to play strategically over and over and rethink my club choice all the time. On my round I fell particularly in love with three holes. No. 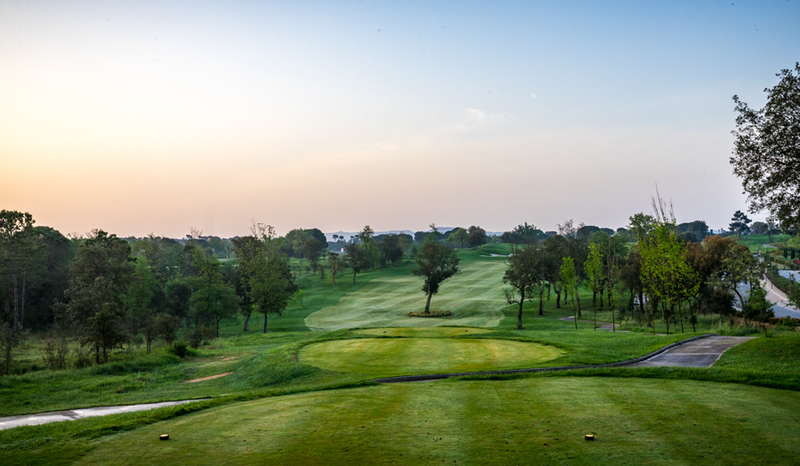 5 a long par 4 with a picturesque tee shot into a small valley and a second shot at a higher, well defended and challenging green. Then No. 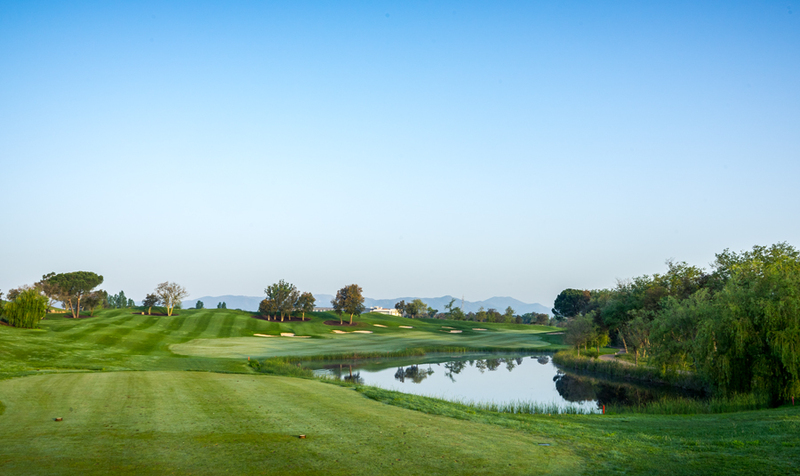 7, a long dogleg right par 5. Well placed the drive, you have to position your layup shot well, to avoid a conflict with the group of trees in the middle of the fairway, regarding your shot to the green. The last of my favorite holes is No.18. The hole reminded me a bit of the hole 3 from the Okmont Country Club in the USA with the bunker grouping on the left side of the fairway. I never played Okmont but I remember it from Tiger Woods Playstation game. Of course I would love to play Okmont. But back to No. 18. From the highest point of the Tour Course you can really light one here. 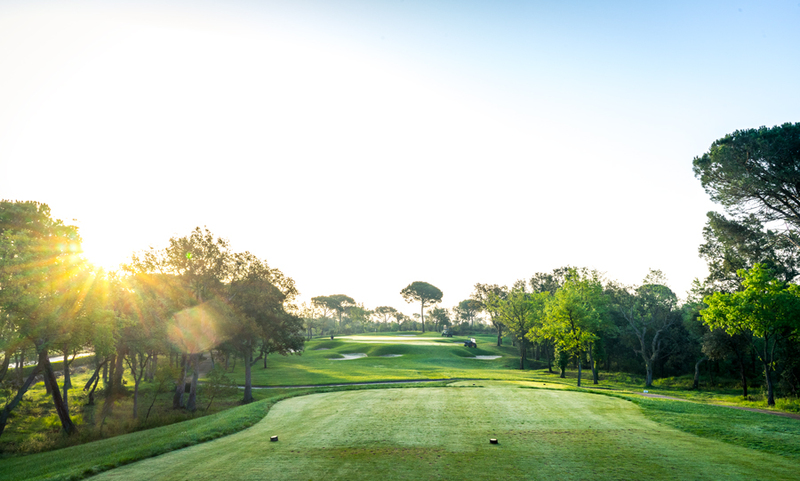 The second shot should be played exactly through the alley between the two trees that tapering the fairway a lot. 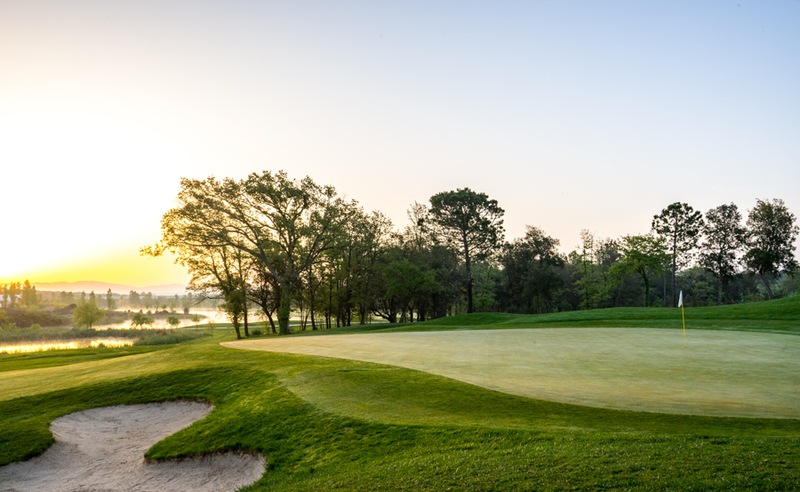 Once you have made it you just have to play your pitch on the green and then play your par on the extra ordinary, good and fast greens. 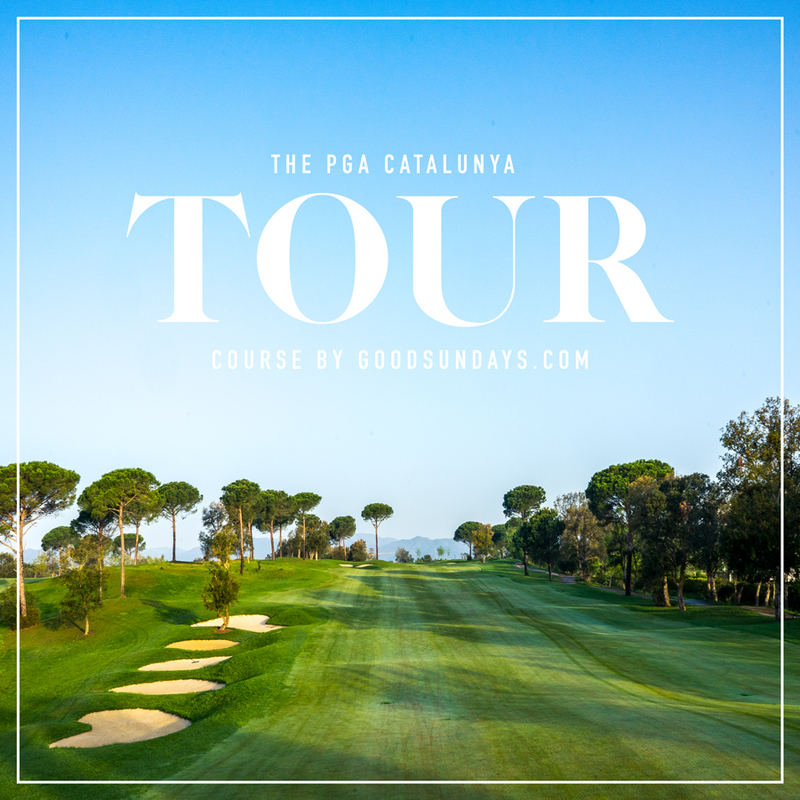 In summary, you absolutely have to play the Tour Course of the PGA Catalunya Resort. 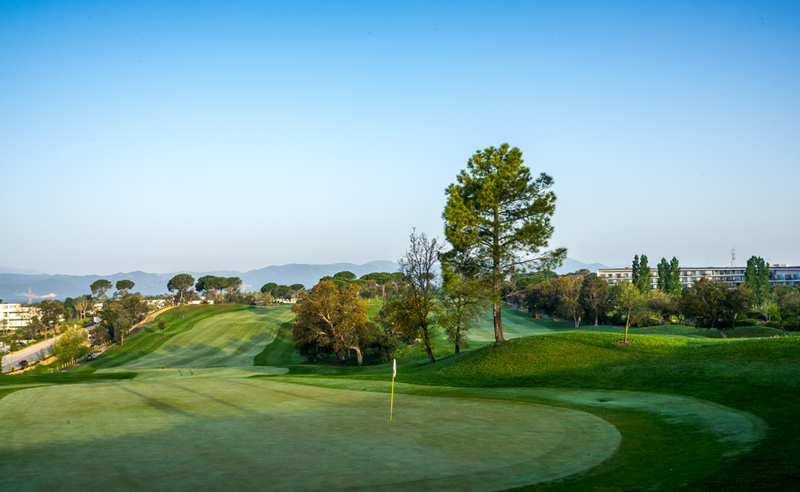 3 to 5 days or a week with your team or as a Pro with your participants, just the perfect way to play and enjoy golf!